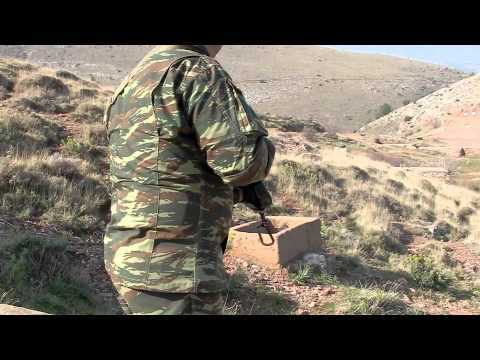 Hellenic Army National Guard members shooting at a moving target at around 80 meters. The target is approximately 75% of a medium human upper shape and is coming out randomly or by remote control. The shooter is waiting the target with lowered gun and safety on. This entry was posted on Thursday, March 1st, 2012 at 6:15 pm and is filed under CONVENTIONAL WEAPONS. You can follow any responses to this entry through the RSS 2.0 feed. Both comments and pings are currently closed.